The number of displaced people now stands at 67,995 while nearly 85,000 have been affected by the raging waters in recent days, the UN said. The UN urged donors to urgently make more funds available "to help deal with this emergency" in the impoverished nation. A reporter for the AFP news agency on the scene saw thousands of residents who had fled their homes stuck on road sides leading out of devastated towns, surviving on scarce aid and in some cases forced to eat grasshoppers. In the tourist coastal city of Xai-Xai, spared until Friday, up to eight metres of water was expected to hit. "The water is coming into the city. It is just starting. Some roads in the lower part of town are under water," said Joao Carlos, government spokesperson. Severe flooding in Xai-Xai would sever the main road connection between the north and south of the country. "Private and commercial services have been evacuated from the lower parts of the city to higher areas," said Sylvia Paolo, police spokeswoman. Humanitarian workers are now racing to provide food and shelter before cholera, malaria, pneumonia and diarrhoea grip those left homeless by the floods. Agencies are also rushing to supply three mobile hospital tents, 15,000 mosquito nets and various other provisions. According to the National Water Directorate, nine rivers in five basins were above alert levels, including the Zambezi and the Limpopo. In the capital Maputo several bridges, roads and schools were seriously damaged. Meanwhile, severe flooding continued to spread across the south of the country, with international agencies and neighbouring South Africa scrambling to ease the humanitarian disaster. The floods are a result of week-long torrential rains in South Africa and Zimbabwe that swelled the Limpopo river forcing an orange alert on January 12, when the toll began. But the full impact of the rains were only now being felt. Initial evacuations of around 30,000 people in the southern region who did not hear or ignored flood warnings were under way. South Africa, where the flood waters have killed at least 12 people in the past week, dispatched two military helicopters and divers on Friday to assist with the evacuations. A South African Hercules C-130 military transport plane was also due to take off late on Friday with a contingent of doctors, nurses and social workers to attend to the flood victims. Towns such as Chokwe in the province of Gaza were submerged, with thousands of homes destroyed and key services such as banks, shops, schools and hospitals affected. The price tag from the flood devastation in the capital alone is expected to be around $30m, according to UN agencies. The deluge also wreaked havoc in South Africa where some 15000 crocodiles escaped after flood gates were opened at a breeding farm in the Limpopo area. Aerial views shows a road that has been washed away by flood waters in Chokwe, Mozambique, Jan. 30, 2013. Flash flooding across Zimbabwe's Masvingo and Matabeleland provinces, normally dry areas, has caused substantial damage to infrastructure. While more than 4,000 people across the country are in need of humanitarian assistance following heavy rains. "Our area is normally dry, and we were caught unawares by the floods, which destroyed almost all the bridges and badly damaged the roads. As a result, communication is difficult," Alois Baloyi, member of parliament (MP) representing the Chiredzi North rural constituency in Masvingo, told IRIN. "I have. been informed that more than 10 adults and at least four children have drowned. The number of victims could be bigger, though, as a proper assessment is yet to be done," he said. "The 240 families lost their food stocks, property and blankets. Most of them lost their means of communication as their cell phones were swept away and [they] could not immediately communicate the disaster," he said. Simon Machaya, teacher based in the Masvingo's Mwenezi District, told IRIN that 30 satellite schools in rural communities were destroyed by storms. "Hundreds of school children are currently not attending school because their classrooms were blown away. These satellite schools were made up of fragile material such as home-made bricks and thatched roofs. The little stationery and books they had were lost and there is urgent need for assistance," Machaya said. A 29 January situation report of the UN Office for the Coordination of Humanitarian Affairs (OCHA) said, "Heavy rainfall across the country during mid-January 2013 affected an estimated 8,490 people, of which 4,615 people require humanitarian assistance in the form of emergency shelter and non-food items." Tropical Cyclone Felleng is expected to shave past Madagascar in the next few days, and could bring "significant rainfall" despite not making landfall. There were also reports of increasing river levels in the capital, Antananarivo, which could "reach alert levels with additional rainfall," the OCHA flood update said. Thank you, lonne de vries. *At least 48 people have died in severe floods in southern Mozambique. Some 250,000 people have been affected, of which 146,000 people are still being housed in temporary shelters. * Tropical Cyclone “Felleng” is heading towards the eastern coast of Madagascar. While not expected to make landfall, significant rainfall may still occur; partners are requested to remain on alert. * Seychelles, hit floods and landslides, has declared a state of emergency. Although only three districts have been affected, with 106 people displaced to temporarily shelters and 50 houses destroyed, response capacity is very limited. As the region enters the critical period of the rainfall season, which stretches to May, a number of countries are responding to significant flooding. River levels are also high across the region, indicating that more flooding can be expected. Tropical Cyclone Felleng is heading towards the eastern coast of Madagascar, and while not expected to make landfall, it may still cause flooding. More information on the regional flood situation is expected shortly. About 15,000 crocodiles have reportedly escaped from a farm in South Africa's far north amid heavy rains and flooding. The owner was forced to open the crocodile farm's gates on Sunday to prevent a storm surge, the local Beeld newspaper says. Many of the crocodiles have been recaptured, but more than half are still on the loose, it says. The floods have killed at least 10 people in Limpopo province. The crocodiles escaped from the Rakwena Crocodile Farm, a tourist site about 15km (nine miles) from the small town of Pontdrif, which borders Botswana. On 22 January 2013, an institutional red alert was declared by the Disaster Management Coordination Council (CCGC) in an extraordinary meeting. The same day, flooding in Chokwe and Guija districts in Gaza Province left 5 people dead and an estimated 30,000 people in need of evacuation. The flooding is caused by high water outflow from South Africa and Zimbabwe. The evacuation in both Chokwe and Guija is ongoing, and more than 10,000 people at risk have already been moved to 4 temporary shelters in the surrounding highlands. 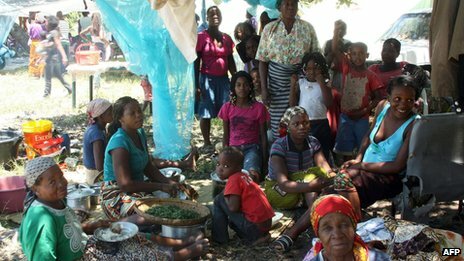 Affected people continue to receive food and non-food items at the nine temporary shelters set up around Maputo city. The extraordinary meeting of the Coordinating Council of Disaster Management (CCGC) held on 22 January culminated in the declaration of an institutional Red Alert, 10 days after an orange alert was declared. The institutional red alert set up a full activation of CENOE and UNAPROC, supported by the Humanitarian Country Team (HCT), in order to save lives and to ensure the safety and security of affected populations by meeting their most basic needs for food, water, health, shelter, protection and logistics, as well as to assess the adequacy of available supplies and other relevant response means. Following the red alert, the peak of high water outflow from South Africa reached Limpopo and Incomati basins in Gaza province. This caused the flooding in Chokwe and Guija districts in this province. The water levels in Limpopo and Incomati evolving very rapidly, and the stabilization of the situation in upstream countries (from South Africa and Zimbabwe). 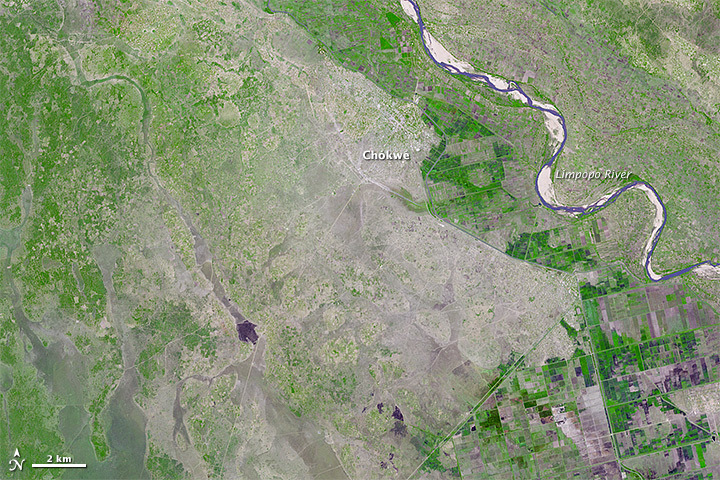 One of the main issues that prompted the worsening of the situation in Chokwe and Guija, besides soil saturation and flooding, is the state of the dyke in Chokwe. This dyke already was damaged by the heavy rains during tropical depression Dando in 2012 and not fully rehabilitated. With the red alert, people started to evacuate on their own, especially around Guija and Chokwe districts. Unfortunately some people did not do so in time and are now stranded on house roofs in high areas in Guija and Chokwe. Evacuation boats reached many but not all because of strong water current. Other affected people were evacuated by trucks. About 30,000 people out of the total population in this area (55,000 inhabitants) are at risk living in low-lying zones. If the water level continues to rise, more people in Chibuto and lower Xai-Xai City, also in Gaza Province, may be affected. On 22 January 2013, five (5) persons have reportedly died in the heavy rains. A considerable number of houses, social infrastructure, access roads and bridges were damaged or blocked. Basic services such as banks, shops, schools and hospitals are closed. 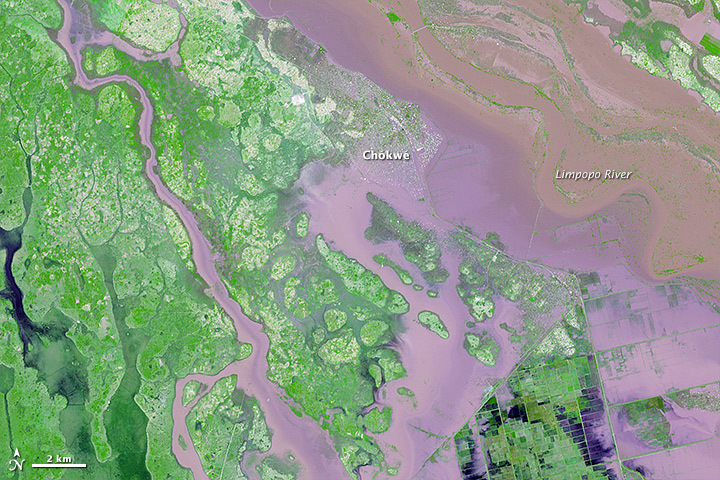 Implicitly this indicates that the socioeconomic loss of this flooding may potentially be huge. A more comprehensive overview of the situation will soon be available, as multisectoral teams are presently conducting assessments in the fields and providing punctual support to those affected (table 1). In general, preliminary data indicates that the situation in Guija and Chokwe are complex and evacuation is still ongoing. While the meteorological situation is stabilizing in the southern regions, intense rains are expected over the next 2 to5 days in the central and northern regions, which together with already high hydrometric levels might worsen the situation in the lower Zambezi basin.